A new 30,000-seat rectangular stadium in Parramatta, unveiled today by the NSW Government will feature Australia's "steepest stands" when it is opened to fans in 2019. NSW Premier Mike Baird and Minister for Sport Stuart Ayres announced Lendlease had won the contract to design and build Western Sydney Stadium. “We’re getting on with the job of delivering the biggest investment in sporting and entertainment infrastructure since the 2000 Olympics, and our first cab off the rank in our $1.6 billion stadia package is truly jaw-dropping,” Mr Baird said. 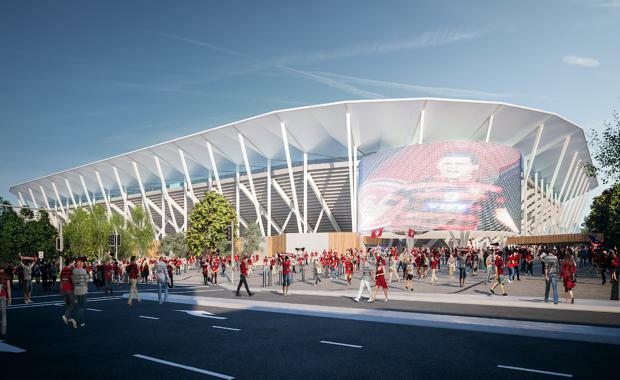 “This design boasts Australia’s steepest stands to ensure fans will be closer to the action than they are at Brisbane’s Suncorp Stadium, or any other in the country. Mr Ayres said the stadium was a "game changer". 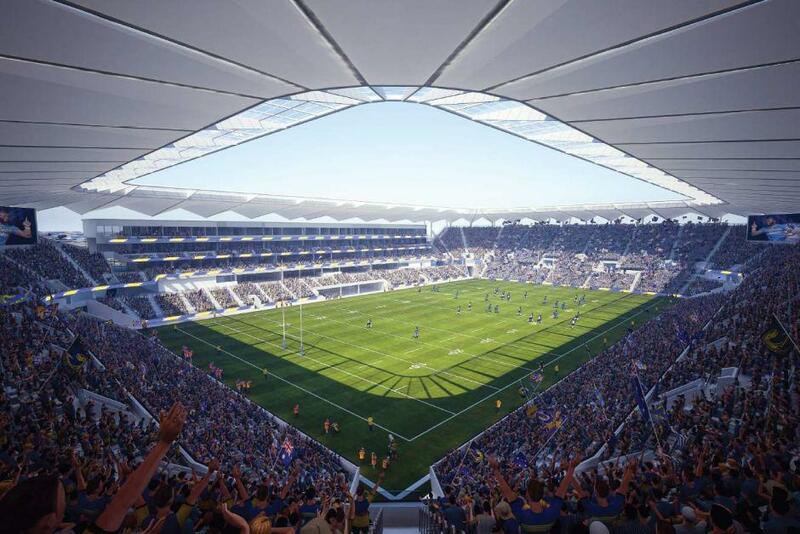 “The new jewel in the Parramatta crown, Western Sydney Stadium was designed with the entire fan experience in mind, featuring all the mod cons like WiFi and an activation precinct set to draw the crowds on game day,” Mr Ayres said. Designed to respect Parramatta’s cultural heritage, the precinct will provide pedestrian and public transport links and improved access to Parramatta Park. The stadium will feature a Gold LEED Energy and Environmental design rating. Work to demolish Pirtek Stadium will begin in early 2017 with the new venue scheduled to open in early 2019.